I live in Massachusetts and was raised in Rhode Island. All around me is history. In my neighborhood are houses built-in the 1600’s. These are not museum pieces but houses that have provided homes for generations of families. My own house is a newcomer, built-in 1806. Down the street is Independence Park, where the Declaration of Independence was read to citizens. Around the bend, in Beverly Harbor, is the location of George Washington’s navy, during the Revolutionary War. All this history is told through the lens of the Europeans who settled here. Preceding this were the indigenous people who call this region home: the Wampanoag, the Narragansett, the Nipmuc, among others. For most non Native American’s like me, I am disconnected from the stories and wisdom of those who preceded ‘my people’. This past Thanksgiving I met Larry Spotted Crow Mann, a Nipmuc elder. The Nipmuc (which means ‘Fresh Water’ people), is an indigenous community whose ancestral land once comprised over 1000 square miles from northern Rhode Island, Connecticut, central Massachusetts and southern New Hampshire. 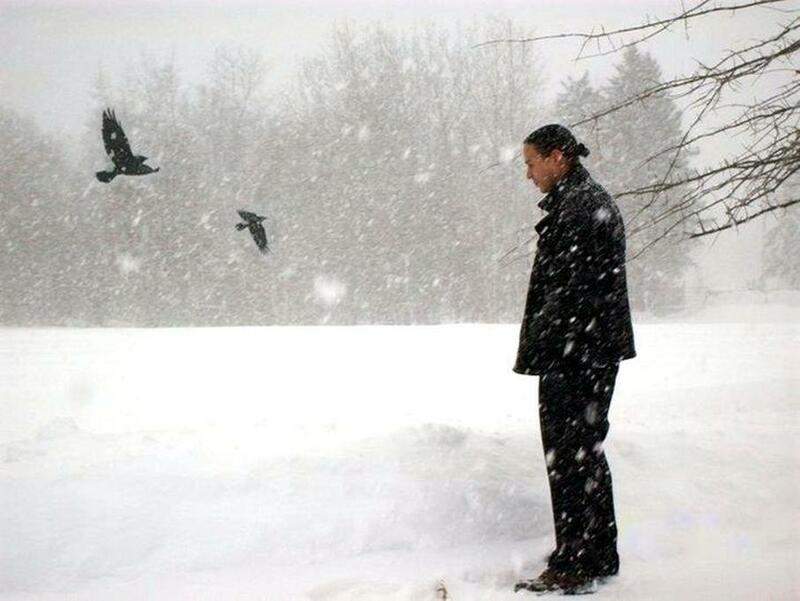 Larry Spotted Crow Mann, is a mixture of warmth, humor, intelligence and mental toughness. 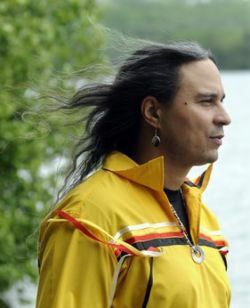 His profession includes counseling indigenous youth, who feel disconnected from their heritage and judged by the majority culture. For Larry Spotted Crow Mann, the path to healing is found in reconnecting to one’s tribal tradition and spirituality. For this Nipmuc elder, the past is not the past, it is circular, where the past informs the present and future. A few weeks ago, I again met Larry Spotted Crow Mann. This time he was leading a drumming workshop. He spoke of the drum beat as a reflection of the ‘heartbeat’ of the earth, of the Creator. He spoke of the intricacy of the rhythm of nature, how in indigenous culture, there is no separation between the natural world and a person’s place within it. For most of us, in the majority culture, the Nipmuc and other tribal communities are invisible. At best we are indifferent, at worst judgmental. Yet, the truth is, the Nipmuc have never left. They are still here. Their language continues to be spoken. Their tradition passed from generation to generation. The Nipmuc offer timeless wisdom to the majority culture too. Lessons for how to live and how to be. For those with the eyes to see and the ears to hear. Great one Kent. As you know, I was once betrothed to a Cherokee man named Grinning Bear. I knew him when I lived in Maine, but the extent of his family, and his tribe stretch to Tennesee and other area states. The Indigenous people have fought to survive, I only hope that we the white man can change to accept them. Thanks Ami for reading the blog and for your good thoughts. Thanks Beverly for the invitation. I have another commitment at that time, but I’d be interested in what you think about the book. Thanks for reading my blog. Lita, it was good to be with you and the open hearted community of the Zen Center. I am hoping to join you at the pow wow!